The Hinchliffe family are third generation farmers based in the small rural village of Slade Hooton, near Sheffield. 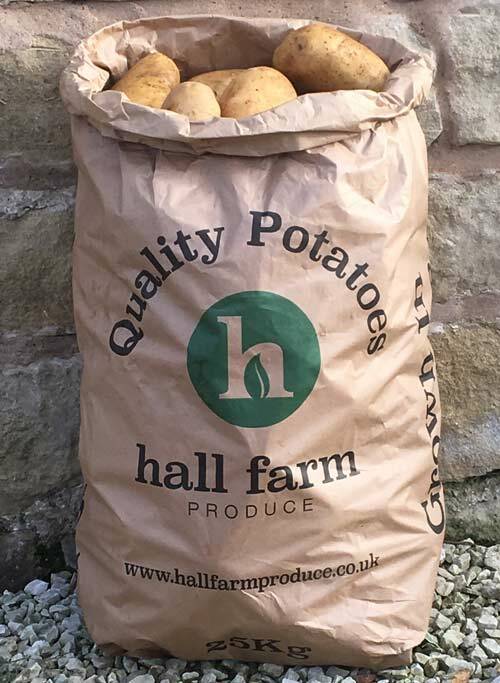 Growing potatoes, which are marketed under the Hall Farm Produce brand, and a range of arable crops, they farm some 1900 acres around South Yorkshire. Hinchliffe Farming Ltd is managed by Simon and Charlotte with two full time employees and some help from their two children, both enthusiastic farmers. The farming business was started by Simon's grandfather Sydney who at the time had a green grocers in nearby Maltby. Always entrepreneurial, Sydney decided to grow produce for the retail business, supplying the shop and delivering to the many ‘works canteens’ around Rotherham and Sheffield. Joined by his sons David and John, the farm continued to grow with a dairy herd, pigs and poultry. The shop was sold, John left the business to concentrate on egg production and David continued to grow the farm, eventually specialising in potatoes and arable crops. Simon joined the farm in 1992 after studying agriculture at Bishop Burton College. We are passionate about farming and are always striving to improve the way we farm. Looking after our soils and keeping them healthy is our prime concern. A variety of new techniques have been introduced to help protect and improve the soil. We care about the world we live and work in, always trying to protect and enhance the environment for future generations to enjoy. Charlotte, Simon and their children Rebecca and Benjamin are all enthusiastic cooks. We love food and are interested in developing a farm shop and deli to promote our produce and that of other local farmers, by selling direct to the public. This would bring us a full circle back to our roots in food retailing. I am sure Sydney would be pleased!